With no end to the federal government shutdown in sight, Masbia Soup Kitchen Network is expanding its hours to accommodate federal employees who have not been receiving paychecks. 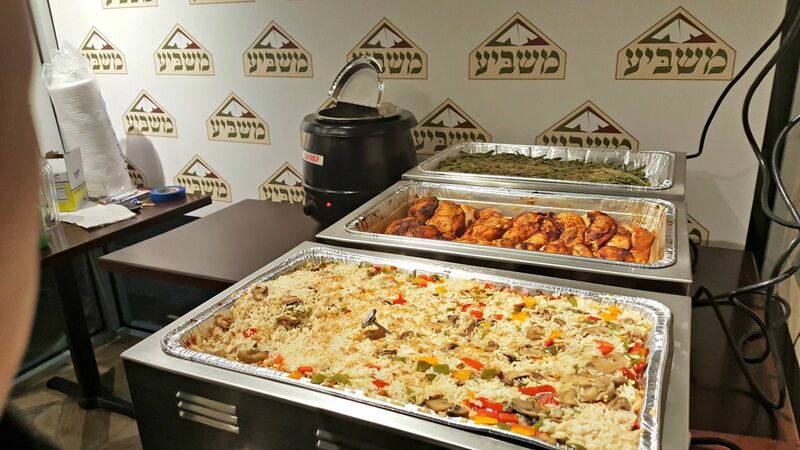 Masbia of Forest Hills, Queens, located at 105-47 64th Road, provides both grocery packages and hot dinners from 2:00-6:00 p.m. Sunday through Thursday. 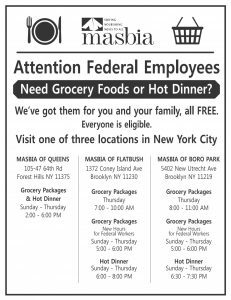 Masbia of Flatbush, located at 1372 Coney Island Avenue, provides hot dinners Sunday through Thursday from 6:00 – 8:00 p.m., and distributes grocery packages from 7:00-10:00 a.m. on Thursdays. 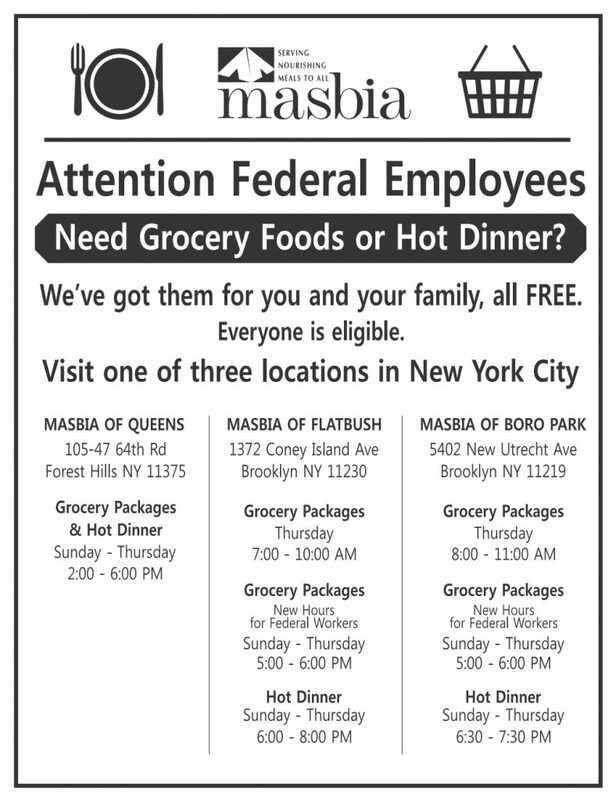 Masbia of Boro Park, located at 5402 New Utrecht Avenue, gives hot meals Sunday through Thursday 6:30-7:30 p.m., and grocery packages from 8:00-11:00 a.m. on Thursdays. 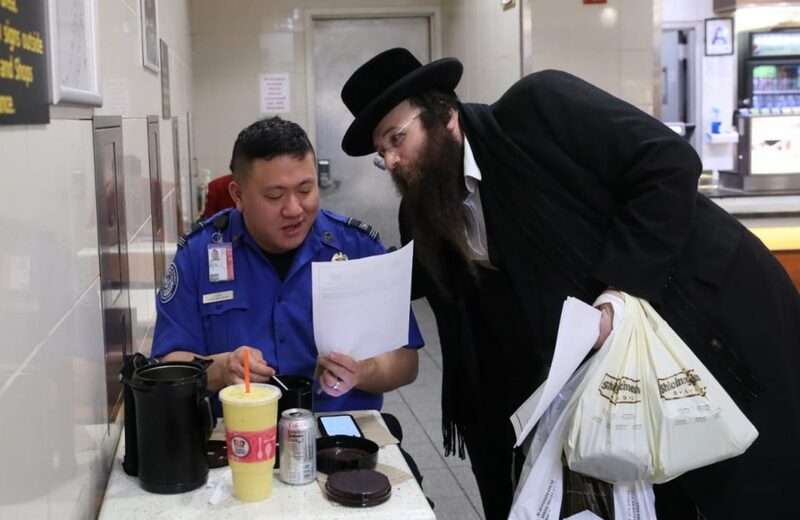 During the government shutdown, the Boro Park and Flatbush locations will provide packages specially for federal employees every evening Sunday through Thursday, from 5:00–6:00 p.m.
Masbia Executive Director Alexander Rapaport and several volunteers went to LaGuardia Airport Monday, the twenty-fourth day of the shutdown, to distribute flyers to TSA agents informing them of Masbia’s services. The agents have been working without pay during the shutdown. 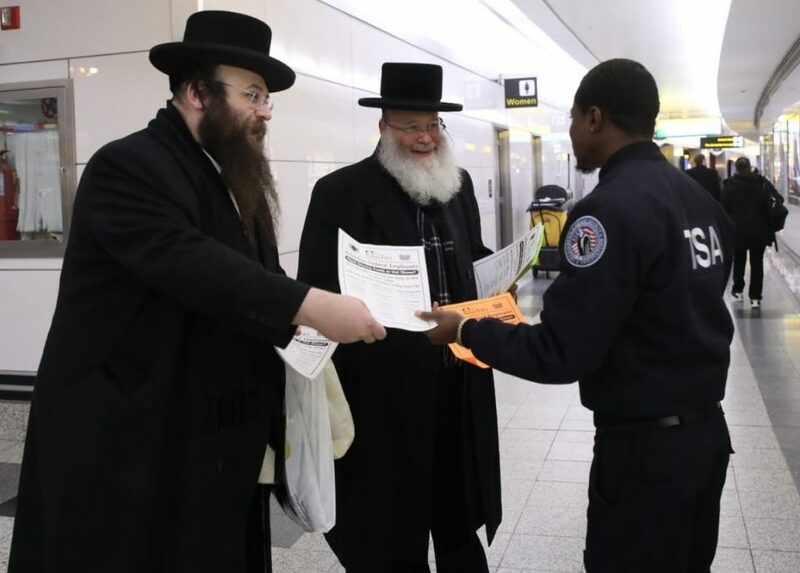 Rapaport says Masbia is seeking volunteers to help distribute flyers to TSA agents at JFK Airport as well.